The SureCall Tri-Flex Amplifier for 3G & Verizon 4G LTE (CM-TRIFLEX-V) boosts the signals used by Verizon's lightning fast 4G LTE network while also boosting the 2G and 3G signals from all major carriers that are used for phone calls. 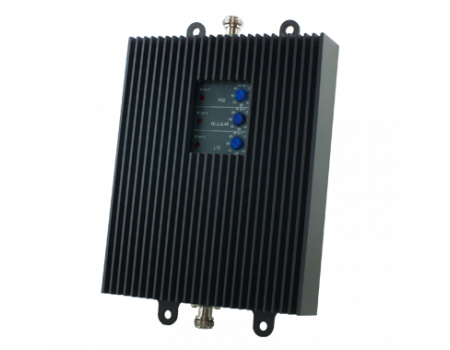 The SureCall Tri-Flex Amplifier for 3G & Verizon 4G LTE (CM-TRIFLEX-V) is designed specifically for the Verizon Wireless 2G, 3G and new 4G LTE networks. Until now, most signal boosters were either dual-band and only boosted 3G and earlier signals or they were 4G LTE specific and only boosted the LTE signal which doesn't support voice calls. This amplifier combines the two so you get the lightning fast 4G LTE combined with crystal clear voice calls all in one signal booster. The amplifier's standard dual-band frequencies (850MHz Cellular and 1900MHz PCS) will boost most major cell carriers 2G and 3G networks. The additional 700MHz capability amplifies the frequencies used by Verizon's 4G LTE network. The SureCall Tri-Flex requires at least two antennas and cables for installation. The outside antenna (donor antenna) receives the signal from the cell site and transmits it via a coax cable to the amplifier. 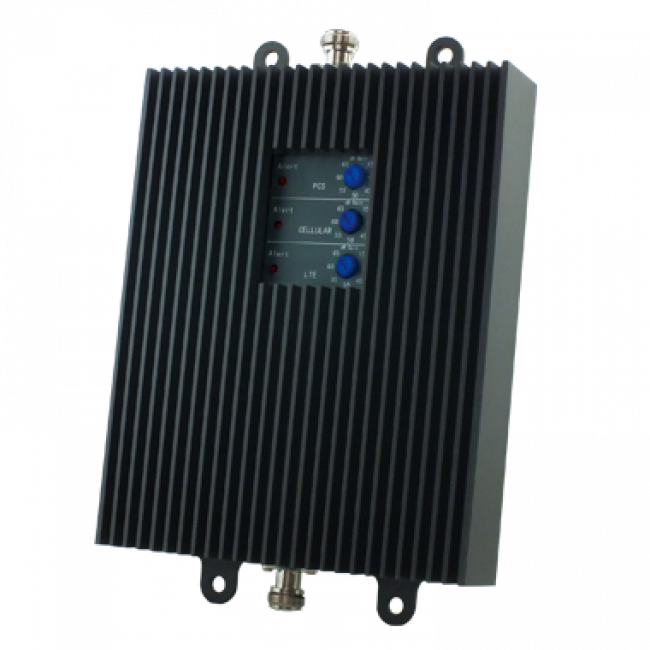 The amplifier boosts the signal and routes it over another coax cable, and to the inside antenna where it is then rebroadcast into the building. The bi-directional system also operates in reverse to ensure that the signal your phone sends is powerful enough to be received by the cell tower. The SureCall Tri-Flex Amplifier for 3G & Verizon 4G LTE (CM-TRIFLEX-V) features a 65 dB gain which gives it a total coverage area of up to 6,000 sq ft making this the ideal amplifier for large homes and small to medium offices. Because this is a powerful amplifier, you must have a minimum of 20 ft of vertical separation between the inside and outside antennas. Adding up to 75 feet of horizontal separation can help improve the performance of this signal booster by minimizing the potential for oscillation (feedback) between the inside and outside antennas. Verizon is still in the process of deploying its new 4G LTE network. If you currently get a 3G Verizon signal, you're in luck because Verizon is adding 4G LTE to every market currently served by their 3G network. So even if you don't yet get a Verizon LTE signal, you will soon, making this tri-band LTE booster is the perfect way to ensure that you won't need to upgrade again in the near future.